Ferrari is to bring its latest F12 Berlinetta to the Goodwood Festival of Speed, along with a selection of vehicles to showcase the level of bespoke customisation offered by Ferrari. 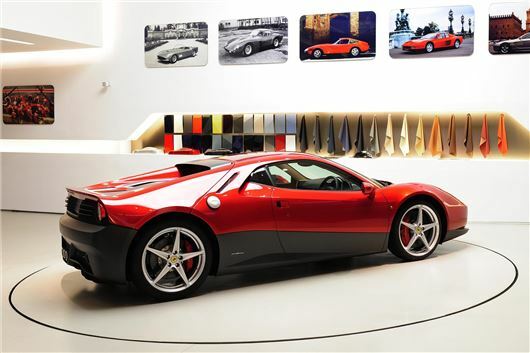 These include bespoke FF and a “Tailor-Made” 458 Spider, plus Eric Clapton’s one-off SP12 EC, built by the Ferrari Special Projects division (pictured). This will be the first year that the F12 Berlinetta has appeared at Goodwood – it’s powered by a 6.3-litre V12 engine, which produces 740PS. Performance is as exciting as you’d expect of a Ferrari – 0-62mph takes 3.1 seconds and top speed is 211mph. Ferrari will also have the completely unique SP12 EC, built exclusively for Eric Clapton by the Ferrari Special Projects division with many styling nods to the 512BB of the 1970s. The Scuderia Ferrari team will also be present, demonstrating the Ferrari F10 raced in the 2010 Formula One season.